I’ve specialized in Lilith, a predominantly misunderstood archetype, since 2007. Since that time, I’ve offered a life-affirming approach to what most consider demonic, evil, and shameful. 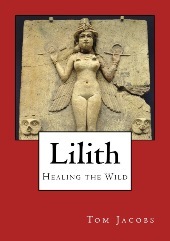 I hear from readers of Lilith: Healing the Wild that it’s the only book on Lilith out there that gave them something positive to work with, and I’m happy that it’s having that effect. So many want to know about Lilith, and many get turned off by the negative press thrown about because of patriarchal mores bent on shaming the natural feminine in all its forms. As most of the pop in-pop out web traffic on my site comes from people looking for info on Lilith, I created The Lilith Pages a while ago. They contain the first article on the subject I wrote in mid 2007 (“Notes on Lilith”) and a series of pages covering natal house and sign placements, natal aspects, and transits and progressions to the natal true Black Moon. They also contain a link and code to get Lilith: Healing the Wild for 25% off. Special Offer: And, until the end of November 2016, I’m offering $25 off 60-minute prerecorded Lilith mp3 readings. The link to my Consultations page is here. The correct button is the 2nd one down in the table listing mp3 readings. These readings combine my astrology knowledge with information from your spirit guides and the ascended master I work with, Djehuty (a.k.a. Thoth, St. Germain, and Merlin), providing info on the true Black Moon Lilith and the asteroid Lilith (1181) in your birth chart.